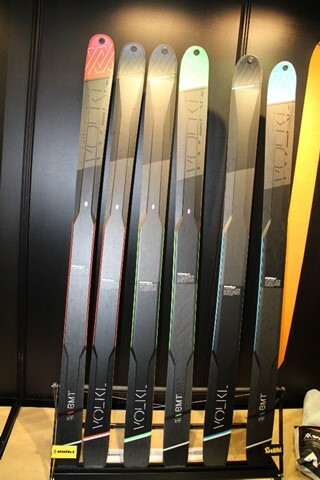 SIA 2014: The Hardgoods Story - Ski. Play. Live. If only we had ski hills in Baton Rouge. The weather has turned on its ear. Droughts in California, 50-inch base depths in Utah, rain in the East and snow in the south. Dogs and cats, living together. And while business is booming at this year’s SIA 2014 show it’s because of the unprecedented demand for cold-weather gear in places like North Carolina, not because more folks are skiing. The hardgoods side of the industry has taken a hit. According to SIA’s RetailTRAK findings, snowboarding participation is down three percent and alpine 19 percent. The bright news is the freeskiing category is up a whopping 47 percent, bolstered by the sidecountry/backcountry hunt for decent snow, fewer crowds and desire for cheaper ways to ride. As we noted from our time at the Outdoor Retailer Show last week in Salt Lake City, skis and boots are getting lighter without sacrificing performance. This is the year of the “all-mountain” ski given the sentiment that we’re likely to have less powder and more on-piste skiing in the future. 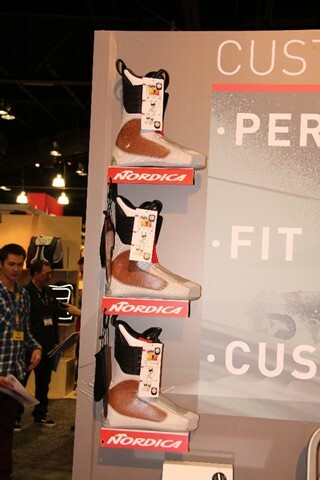 Boots come with ski/hike modes and injection molded shells using a variety of materials that will not only add on-hill performance and comfort but also insulation like in Nordica’s cork liners. Skis are losing the metal in most cases. However, new technology and materials will keep them from feeling like noodles even on hardpack. 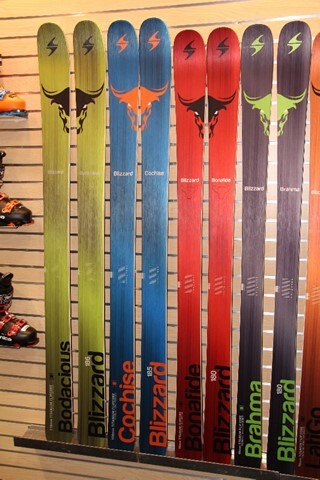 Blizzard’s “Free Mountain” category uses their Flip Core technology along with titanal construction for stability and edge grip. The wood core in models like the Brahma (SIDECUT: 125-88-110 mm), Bonafide (SIDECUT: 133-98-118 mm) and the women’s Sheeva (SIDECUT: 134-104-124 mm) is inserted upside-down, so that the downward-facing, convex side of the core creates a natural bend. This natural rocker-shape then is already built into the construction of the ski. 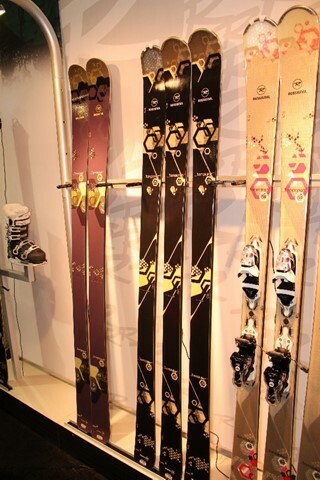 The result is supposedly an easy turning, floaty ski that maintains balance at speed and holds on harder snow. 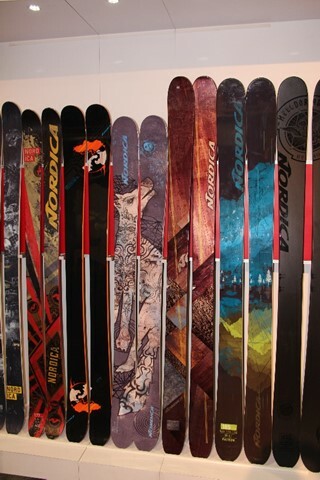 Nordica expects to rock the women’s market with the All Mountain Collection (Wildfire, Nemesis, Wild Belle). The men’s line uses titanium and carbon instead of two sheets of metal. Volkl doesn’t skimp on their ladies. The all-new Aura has two sheets of titanium, 100mm width and full rocker to glide effortlessly from powder to hard snow. Volkl’s new V-Werks line is designed to be a backcountry cross-over series with a carbon fiber construction, lightweight multi-wood core, full rocker and early taper sidecut so they’re ultra light yet stable. It comes in 94, 109, and 122 mm under foot. But despite the nudge to seek powder out of bounds, manufacturers have accepted that the weather may not cooperate and the majority of skiers will be forced to deal with packed powder. Next year, you’ll still be able to find skis with 130 mm under foot but now there are more mid-range widths and decreased rocker than we’ve seen since Shane McConkey introduced the world to the Volant Chubb in 1996. 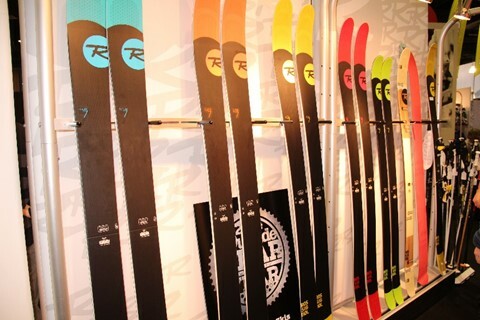 Rossignol has expanded their air tip design beyond the 7 series into the all-mountain Experience and Temptation collections. The technology decreases the swingweight of the tip to make for easy turn initiation even though it has a lower rocker profile so that you can charge hard in soft and firm conditions. The bottomline with skis will always be the same. Try them out first. There are an overwhelming array of sidecuts and widths coming at you but what you’ll like depends on the type of skier you are, where you ski and, now, how much weight you feel like carrying.